The Autism Alliance represent a number of charities across the nation. We urge all correspondence to be directed toward your local/regional charity who will usually be able to deal with direct public enquiries. Charities near to you can be found here. 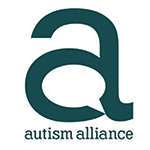 Interested in joining the Autism Alliance?